One of the best things about helping artists, photographers, and even galleries, to create their very own websites, is that we get to hear about all of the fantastic events that Gallereo users put together, or are part of. For one of our users, last week saw the launch of a very special exhibition. The F-Stop Gallery in Newcastle, which is part of Digital Lab, is proudly hosting an exhibition of photographic works by the lead singer of Maximo Park, Paul Smith. 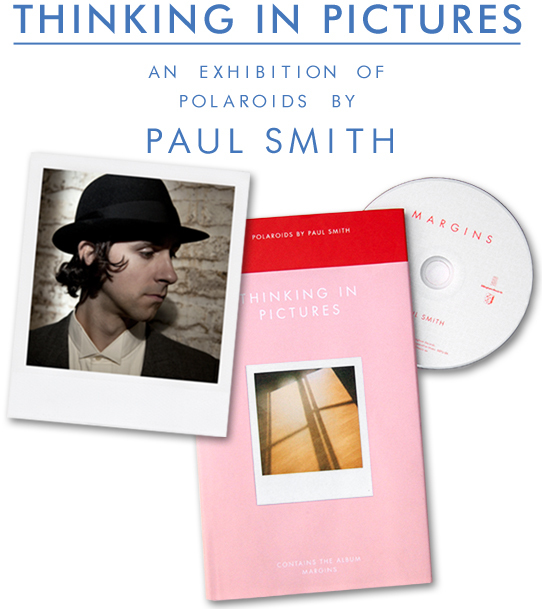 Smith has spent a great deal of time, while on tour with Maximo Park, taking polaroid pictures of the places that he has been able to visit. In an interview with The Journal newspaper, Smith said, "As a musician I've been lucky enough to travel the world. While I was away I took lots of pictures and each photograph carries a memory of where I was at that time…Over the course of the five years I had taken all of these pictures and one day I asked myself what I could do with them." All of those pictures have been made into a book called Thinking In Pictures, which was published along side is debut solo album, and now there are a select few blown-up pictures from the book which are on show, and available to buy, from the F-Stop Gallery. The exhibition will run until the 30th April, and more information can be found on the F-Stop Gallery website, which was build using our very own artist website builder.